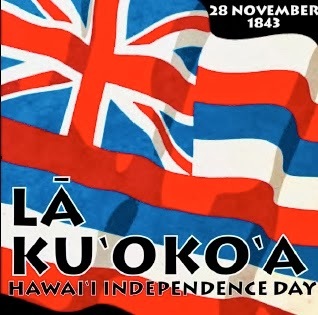 Native Hawaiian Student Services from UH Mānoa is offering a chance to get a free printing on a T-shirt celebrating, Lā Kūʻokoʻa a kingdom holiday celebrating the independence of the Hawaiian kingdom. Printing is free, but you must supply your own shirt. Just bring a clean T-shirt to the Hawaiian center from 10:30 a.m. to 1:30 p.m. on Wednesday and pick it up later in the day. You may bring any clean shirt with no holes. Please limit two (2) shirts per person. T-shirt printing will be held on December 4 from 10:30am – 1:30pm in the Hawaiian Center. You may drop off your shirt, and pick it up at a later time that day. Limit: 2 per person.